A brownfield site, formerly used as a gym, located in Bedford. Woods Hardwick was initially instructed by Balmo Properties to provide a detailed topographic survey of the site area, adjacent details, access and visibility splays. In addition to the survey we investigated the drainage network on site to prove the current connections. 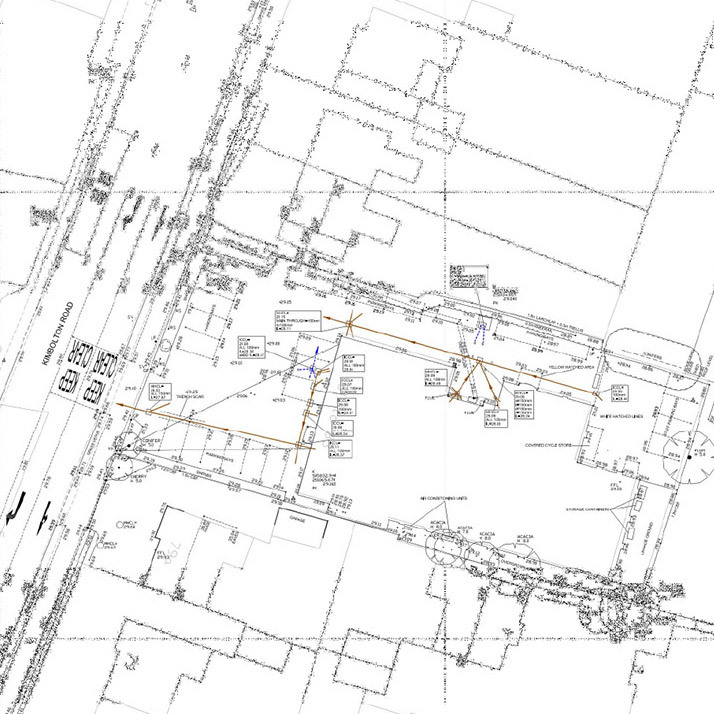 Following on from the topographic survey our surveyors carried out a full building survey of the existing building to include elevations, floor plans and sections. The site was successfully granted planning permission to convert the building into 14 luxury apartments.